Please notify Alexander Svensen, Registrar, German Dept. 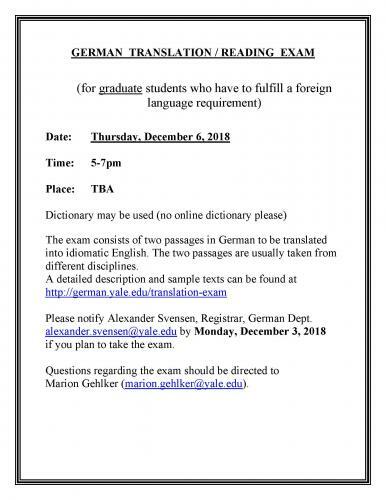 alexander.svensen@yale.edu by Monday, December 3, 2018 if you plan to take the exam. Questions regarding the exam should be directed to Marion Gehlker (marion.gehlker@yale.edu).